With so many people depending on the Internet for a litany of reasons, there might not be the general acknowledgment of just how powerful the ubiquitous use of the Internet really is for businesses. From the storage and redundancy of business’ data to virtualized computing platforms to browser-based interfaces that provide access to productivity and communications software, today’s Internet is filled with solutions for the modern business. The Internet was around a while before broadband was rolled out, but today data delivery systems necessitate that users have a fast Internet connection. With all the options that the average business has to choose from, many of them are only feasible if a company has the necessary bandwidth available to run the technology they depend on. The strength of the Internet for today’s business is largely based on the availability of high-speed Internet. If your business lacks the bandwidth it needs to utilize cloud-hosted platforms, communications solutions, and other important business applications, it can not only create substantial data bottlenecks, it can hinder collaboration and productivity. The development of the Internet has coincided with the development and innovation of the smartphone. Today, 77 percent of all Americans have a smartphone. The main benefit of a smartphone is the development of applications (apps) that provide shortcuts to web-based platforms, and plenty of additional functionality. The numbers suggest that more content is viewed on mobile devices than on desktop or laptop PCs today, making it extremely important that cellular and wireless Internet is readily available and fast enough to facilitate all the demand. Most of us pay twice for Internet (home and cellular), but the figures show that there are more people than ever today eliminating the cost and paying for one or the other. This has led to nearly 20 percent of smartphone owners forgoing at-home broadband service and utilizing their cellular data plans. As this number rises, it will have an effect on every device market, as well as the sustainability of affordable high-speed Internet. Another strength of the modern Internet is the numerous ways it can facilitate successful and secure communications. Platforms such as telephone, instant messaging, email, as well as newer applications that prioritize collaboration fuel what are major changes in the way people communicate. Today’s Internet-based communications are a major profit center for a business. While it would seem that these solutions would come without a lot of return, without them, many businesses would see their profitability fall off to a point where growth simply isn’t possible. The Internet also provides options for conferencing, webinars, and other group meetings that provide organizations the kind of end-to-end communication they need to keep business rolling. One of the biggest challenges for business is to keep a successful supply chain running. Changes in technology have provided the ability for businesses to acquire the things they need affordably improve dramatically. 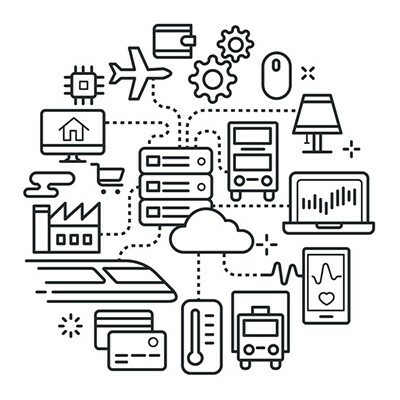 Internet-connected software, communications solutions, and other platforms are changing the way manufacturers and retailers handle their supply chains. Tackling the logistical problems that typically come with a supply chain system can be one of the biggest headaches for any business. Access to resources that can be connected to the Internet, such as e-commerce, enterprise resource planning, customer relationship management; not to mention the significant real-time communications options provided on the Internet, allow people to manage their procurement and distribution better, while routinely providing direct access to vendor representatives that can keep business moving faster and more effectively. One of the most obvious ways the Internet has helped business is by making a company’s products or services available to larger markets. Since marketing - and, specifically Internet marketing - has become a major investment for many organizations, companies have to have a dedicated plan in place that turns traditional advertising on its head. Many organizations have invested heavily in this aspect of their business, but for those that cannot, the use of social media is another great option. With low overhead and the ability to touch hundreds and thousands of people in a short span of time, many organizations that do invest heavily in marketing also utilize their social media accounts for their benefit. The Internet continues to be used by many organizations to conduct business. How does your business utilize the Internet? Has it been beneficial for your company, or has it been a struggle? Leave your thoughts in the comments section below, and make sure to return to our blog for more great technology information and commentary.